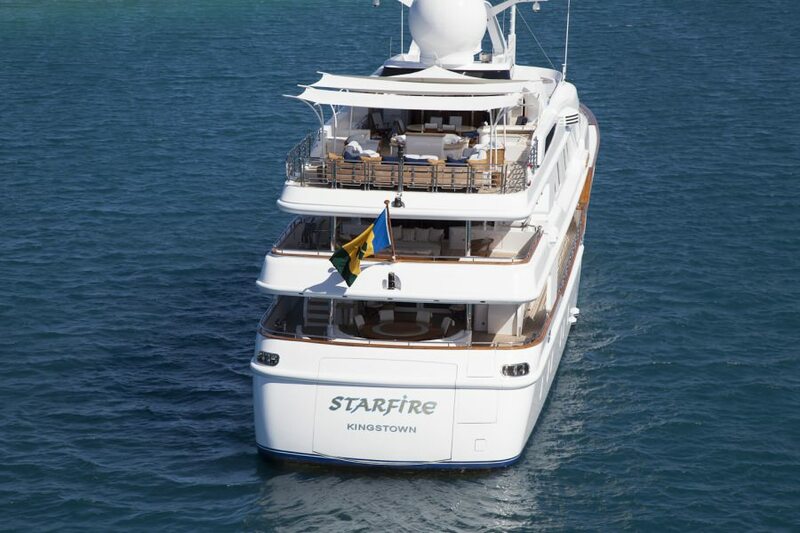 Yacht STARFIRE is 178 in length (54M). She has a beam of 31.5 and a draft of 11.5. 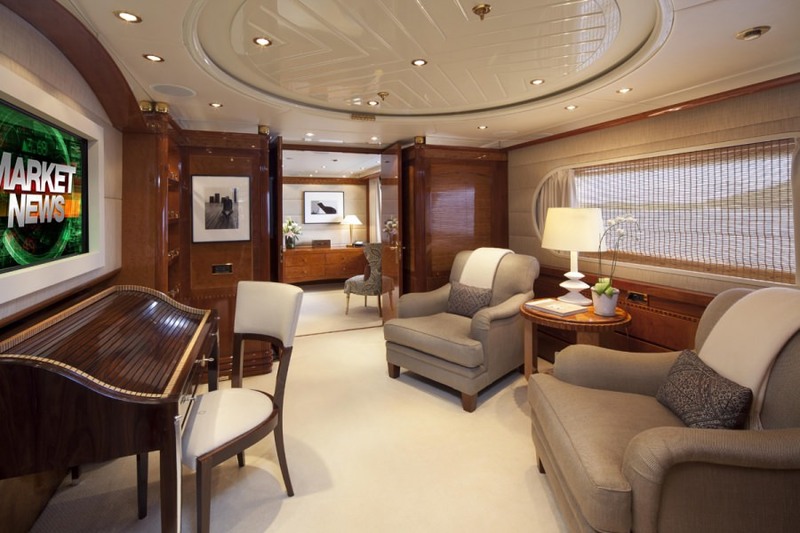 She was built in Italy by the Benetti boatyard. STARFIRE is 757 tons and has a fuel capacity of 35,000 gallons (140,000 liters). Her maximum speed is 15 knots and she cruises at 12 knots. She has a steel hull and an aluminum superstructure. 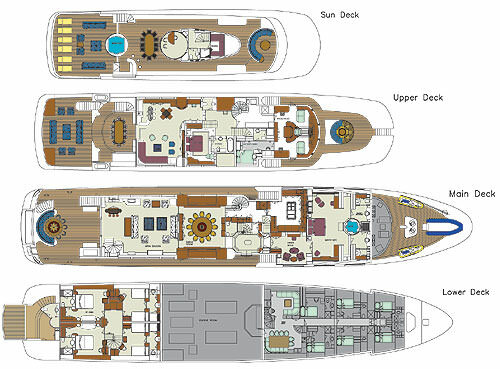 Launched in 1998, STARFIRE has been through three refits, one in 2002,one in 2004 and 2012. 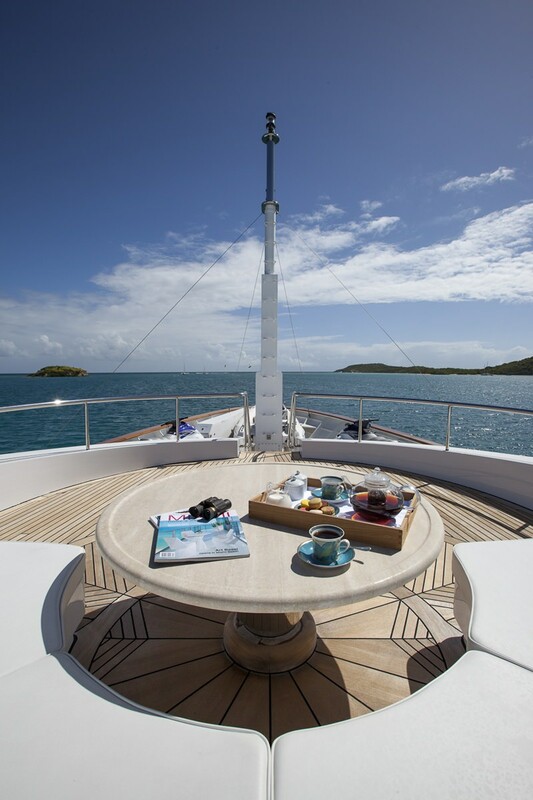 Included in her 2004 refit was the addition of at-anchor zero speed stabilization, which is a true advancement in the yachts performance. STARFIRE has the latest and most technologically advanced communication system in the industry. With a new Ku-band satellite, we are now able to offer full communication while docked and at sea. 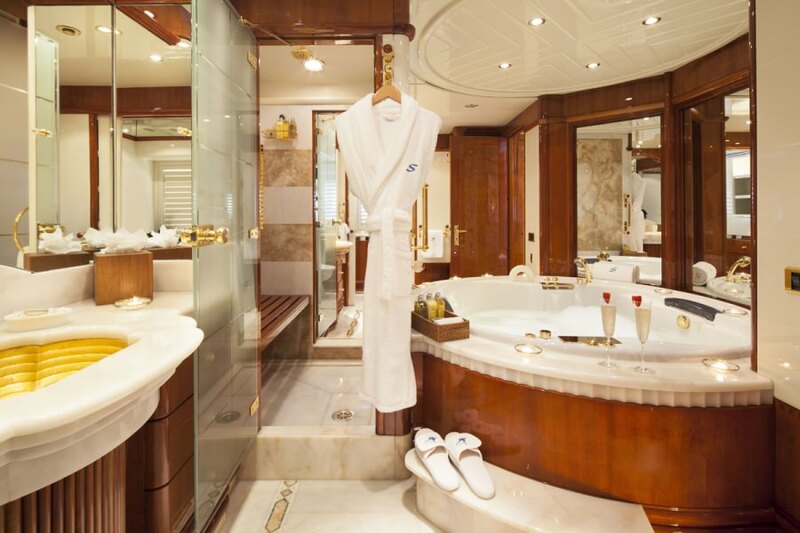 This innovative system provides guests with high speed wireless internet access around the world. 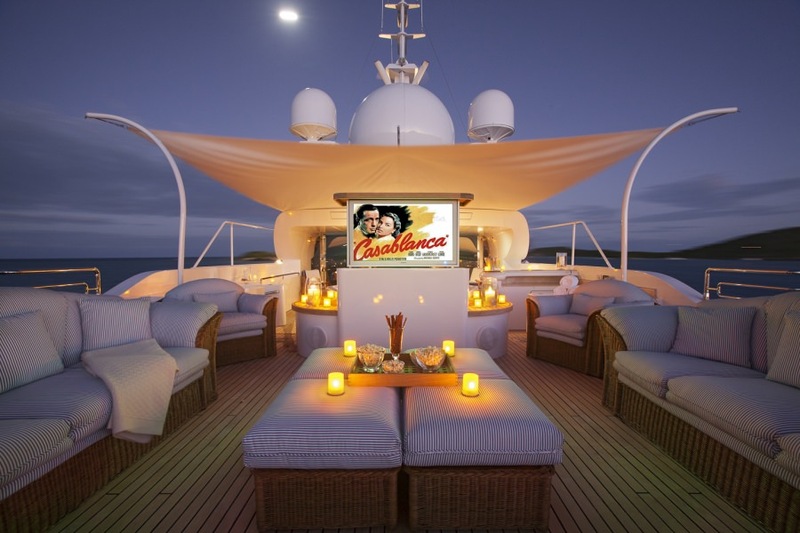 In addition, a state of the art audio visual system has been installed to provide the best available programming and reception no matter the destination! 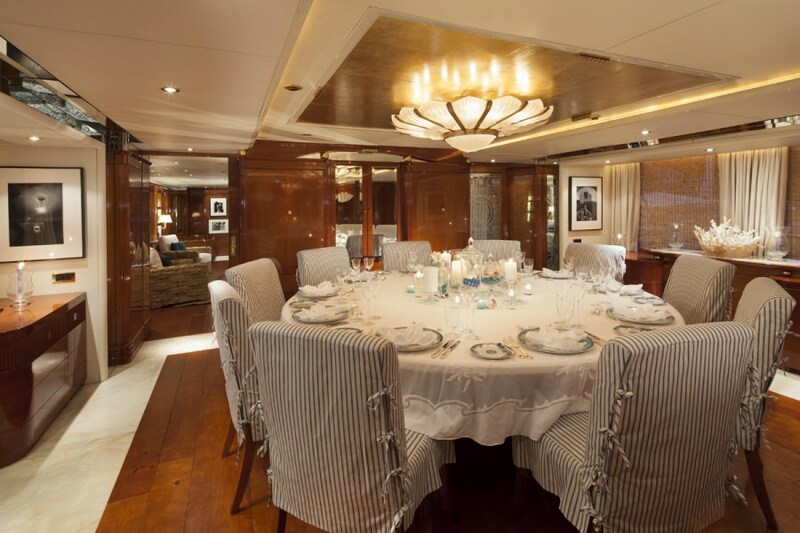 Along with STARFIRES technical advances, her 2012 refit included an interior transformation to Modern Art Deco. 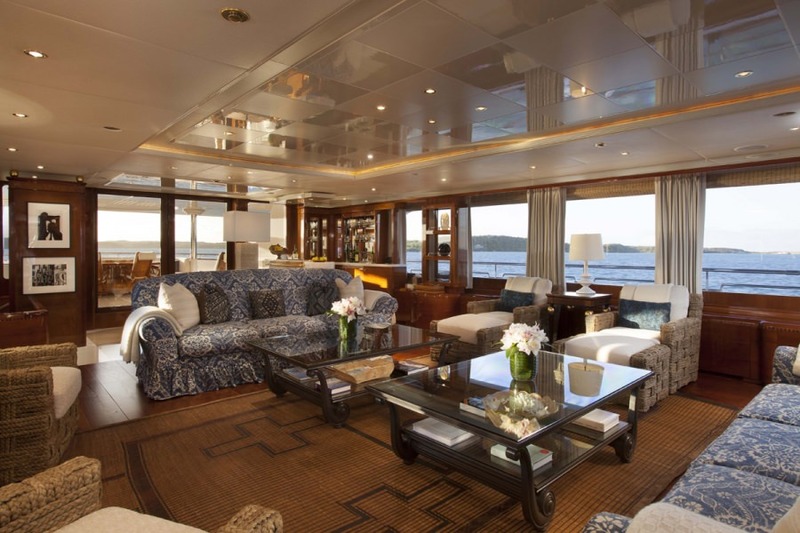 To better suit the owners style, custom furniture and exquisite fabrics were paired to create an elegant and inviting yacht. Great effort and craftsmanship were expended to insure STARFIRES appearance and performance are at the highest of levels. Starfires Captain spent a portion of his childhood on Water Island in the United States Virgin Islands, alternating with time spent in Indianapolis, Indiana. His recreational life was focused on water sports. He is a competitive, water and jet skier, a certified water ski instructor, and a certified rescue scuba diver. Captain Carl's other interests include all types of snow sports and flying helicopters. In 2004, he completed the hours for his private helicopter license - a hobby that gives him as much joy as driving yachts. After graduating from North Central High School in Indianapolis, Indiana, in 1993, he went to work in the yachting industry and became the Captain of a mega yacht at the age of 22. 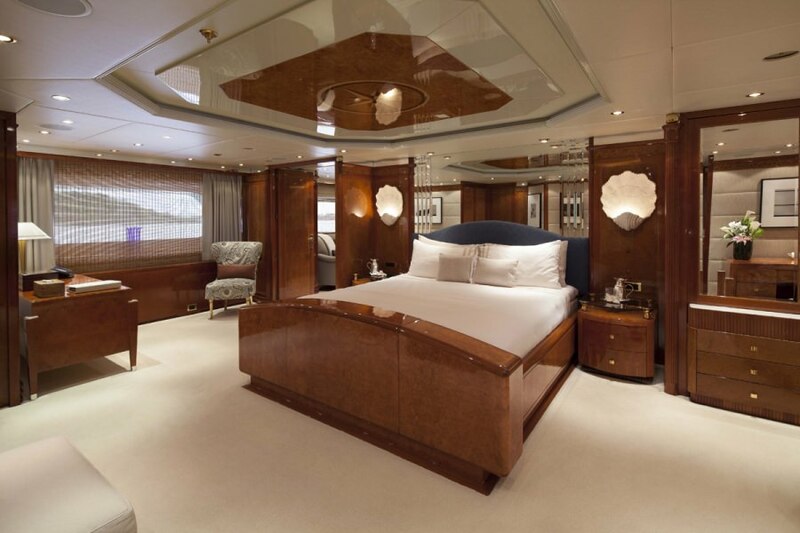 Three mega yachts later, Carl became the Captain of the prestigious M/Y Starfire. Captain Carl holds a 1600 Ton United States Coast Guard License with a 3000 Ton British License. He is certified in Advanced Radar, Shipboard Fire Fighting, and STCW trained. He also completed a six month Emergency Medical Technician course, which gives him the knowledge to handle a variety of ship health emergencies. His medical expertise expanded with a MedAire Advanced Medical Certification. 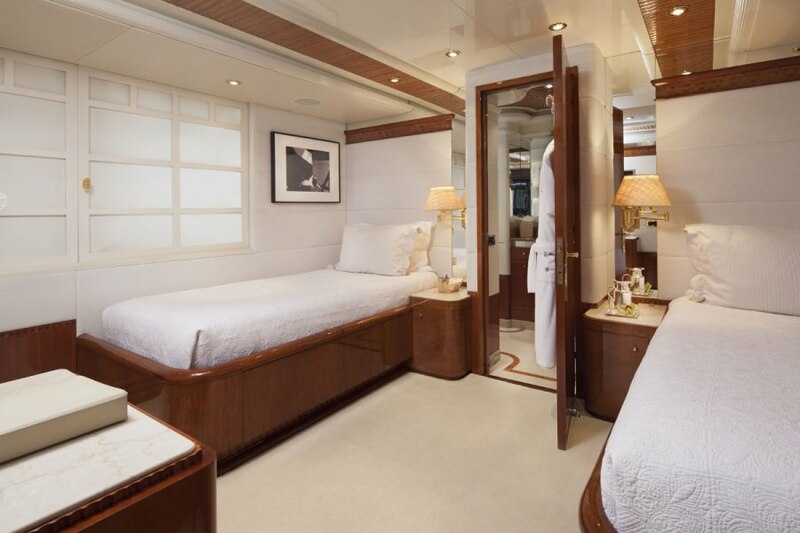 Captain Carl was the individual winner as Best Captain of a Mega Yacht in 2001 at the Ft. Lauderdale International Boat Show. This accolade was given for his ability to be a can do positive leader. Starfires Captain takes special pride in imparting his knowledge and love of the sea. In an effort to share his passion with others, he set up The Captain Carl Sputh Seafaring Scholarship at his Indianapolis high school alma mater, North Central. Each year, five fortunate students are sponsored to attend a sailing school course aboard the restored A.J. Meerwald Tall Ship in South New Jerseys Delaware Bay. The scholarship recipients receive full tuition, all travel expenses-paid, $100-a-day spending money-and this year, even foul weather gear donated by the outdoor sportswear company, Patagonia. Captain Carl enjoys the possibility that the experience may introduce some of these students to an entirely new career path they might not otherwise have discovered (in landlocked Indiana that is!). Captain Carl's motto for yachting is that "there are no problemsonly solutions," and he governs himself and his crew accordingly. Richard grew up in Pagosa Springs, Colorado, and alas, his position as 1st Officer on M/Y StarFire is not exactly typical of someone who grew up surrounded by snow-peaked mountains and 3 million acres of national forests! An avid snow skier since youth, Richards all-around love of the outdoors ultimately led him to the U.S. Merchant Marine Academy in 1991. Richard spent his undergraduate years at the Merchant Marine Academy not only gaining his knowledge of marine engineering and navigation, but also participating as a Varsity member and Fleet Captain of the Offshore Sailing Team. He still enjoys racing sailboats in his leisure time; and yet, since his departure from the Academy, he has applied his skills & knowledge to a variety of professional marine positions on sailing and motor yachts. After logging 130,000 nautical miles in deck and engine cadet positions on unlimited tonnage cargo ships, Richard eventually found his way to the yachting industry in 1996. He has since worked on many high-profile sailing and motor yachts, not only in First Mate and Engineer positions, but also as a Captain. With a U.S.C.G 1600-Ton Upon Oceans Master ticket under his belt, Richs sailing experiences have taken him all over the world. From South America to Alaska, Egypt to Singapore, Turkey to Norway, and throughout the Caribbean and Eastern shores of the U.S., Richard has certainly made the most of his career at sea. Richard obviously has a passion for sailingbut his talents dont stop there. He is also a PADI-certified diver, and he shoots rifles, pistols, and shotguns competitively. His time off ship is spent with his wife Jemma, either in her native New Zealand or on the family ranch in Nevada, minding their Longhorn cattle. Although born in South Africa, Nick spent most of his childhood growing up in Auckland, New Zealand. There he received his Bachelors of Engineering, and then moved on to work for Fisher and Paykel Healthcare designing and building manufacturing machinery. Nick also worked in Ireland for Johnson and Johnson Healthcare, installing and commissioning production machinery. Needing a change and missing the sea, Nick has transitioned to the yachting industry. His interests include fishing, photography and kite surfing. Hewert comes from Christchurch, in the beautiful South Island of New Zealand. After years of study and apprenticeships, Hew carries multiple trades in the engineering field. After working for Qantas airlines in Sydney as an aircraft engineer, Hew spent two years in the rugged outback of Western Australia working in the mines as a diesel specialist. Hew then moved on to yachting as a natural progression from Land to Air to Sea. Hew enjoys cooking, music, fitness, nature and travel, and looks forward to a long career in the yachting industry. Marcus comes to us from Lami Town, Fiji. He grew up in a house on the water in the Bay of Islands with his three brothers and many friends whom he spent time sailing, surfing, diving, fishing and kayaking with. He attended school at the International School in Suma, Fiji, completing his IB Diploma and afterwards attended the University of the South Pacific studying Management and Tourism. At the age of 21 He moved to Australia and obtained his Bachelors Degree. Marcus has traveled the South Pacific, including Australia, New Zealand, Tonga, Vanuatu and the Fiji Islands extensively by boat. His father operated a live aboard Dive Boat in Fiji as well as owning a Long Line tuna boat. So traveling the sea by boat has always been a part of his life. He has completed courses such as his STCW, Certified 3 Transport and Logistics and Deep Sea Recompression Chamber Operator and wants to add more courses to his list when possible. Marcus has always been associated with the sea and boats and has a good feeling that this is the path he was meant to go down! Jack joins the yachting industry just recently in his ongoing desire to pursue new challenges in life! Born and bred in London, England, Jack previously worked as a bar manager in an East London pub. Jack is both interested in the deck and engineering side of yachting and plans to further his education in both fields. Jacks hobbies include soccer, BMX, skating and fixed gear road riding. He is also a collector of street art, books and vinyl. Although born in Argentina, Kevin grew up in Auckland, New Zealand, where sailing was his passion from a young age. Kevin competed in National races as well as using his 22 sail boat to cruise throughout the beautiful Bay of Islands and Coromandel on the weekends. Also an avid diver, Kevin holds an advanced divers certification and has been on many dives in New Zealand and Fiji. Kevins interests also include riding his motorcycles and swimming, which he also coached. Kevin looks forward to gaining more knowledge that will lead him to a long career in yachting. Stuart hails from Cork, Ireland. Starting to cook at an early age, Stuart opened his first restaurant at the age of 18. Following a two year professional chefs course, Stuart returned to college and completed a four year degree in business and finance. After college, Stuarts love of traveling and adventure brought him to work in up market ski chalets in Canada and France which in turn led him into the world of yachting. 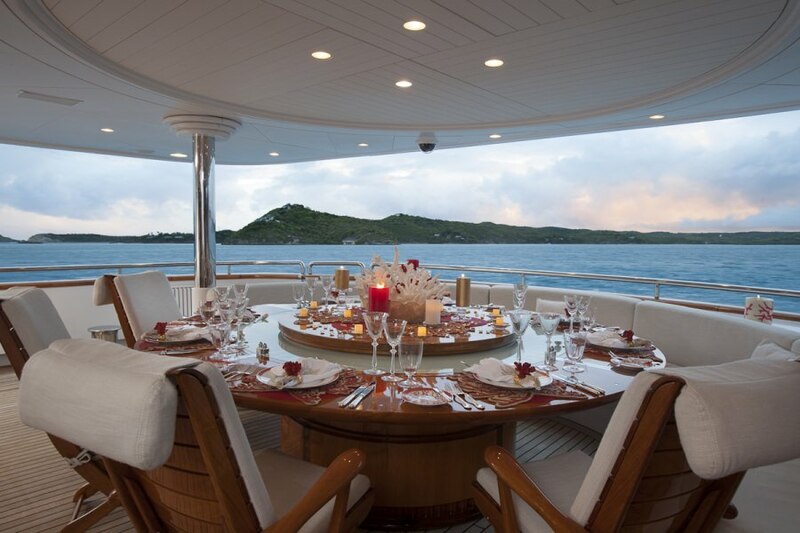 Stuart has been in the yachting industry for seven years, working on sailing and motor yachts and as a personal chef for a famous Formula One driver. His plans for the future are to remain in the yachting industry for a few more years before opening his own restaurant again. In his spare time Stuart enjoys sampling the local cuisine during his travels and loves to hike and snowboard. Jesse comes from Denver Colorado where she grew up and also attended nearby University of Colorado at Boulder. There she studied International Affairs and upon completion of her degree heard about the yachting industry through a family friend who was involved in marina development. Jesse has now been in yachting for nearly ten years. She began as a stewardess and has now moved on to the culinary part of yachting due to her passion for food. Jesse enjoys skiing, running, cooking and travel. She is also in the process of receiving her private pilots helicopter license. Renee is originally from a small town south of Sydney, Australia. 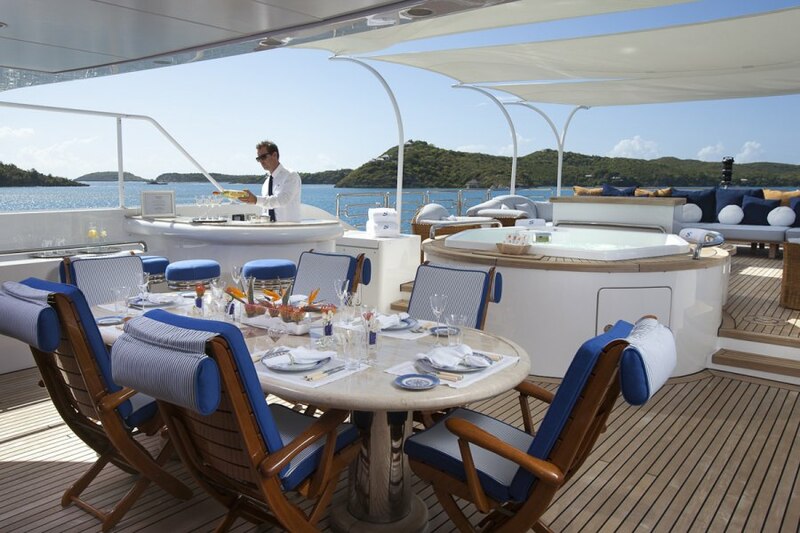 Having a passion for travel, in 2005 she decided to travel around Europe, and in doing so discovered yachting. 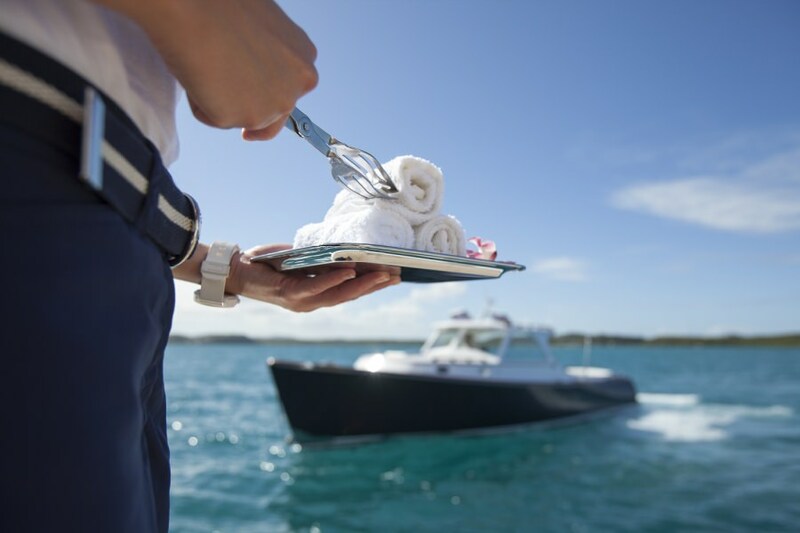 Starting out as a stewardess, and now a chief stewardess, yachting has become a lifestyle and career to Renee. Having vast experience in hospitality and a degree in tourism, Renee hopes to one day own her own event management company. When she is not working Renee enjoys reading, water sports, playing piano, and socializing with friends. Chloe is from Hermanus, South Africa. Having grown up in a small fishing/holiday town, she was always surrounded by the sea and outdoor activities. 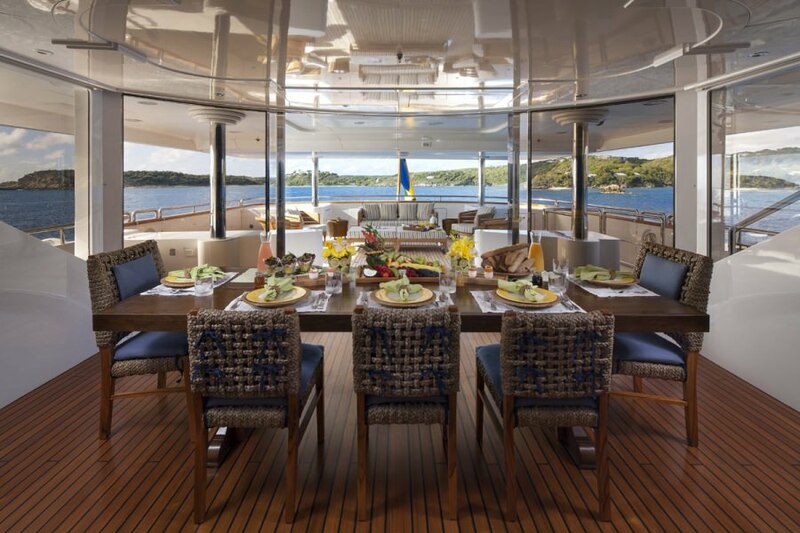 While working in England, she was introduced to the idea of joining the yachting industry by her brother, who, himself is a chef onboard a yacht. 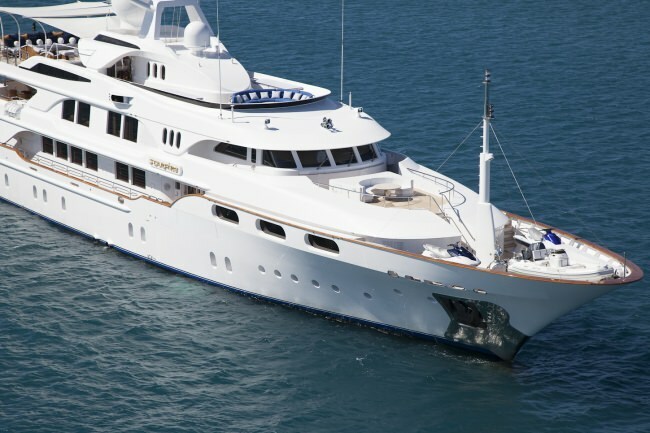 Chloe has now been in the industry for a few years, working on three other super yachts before joining Starfire. 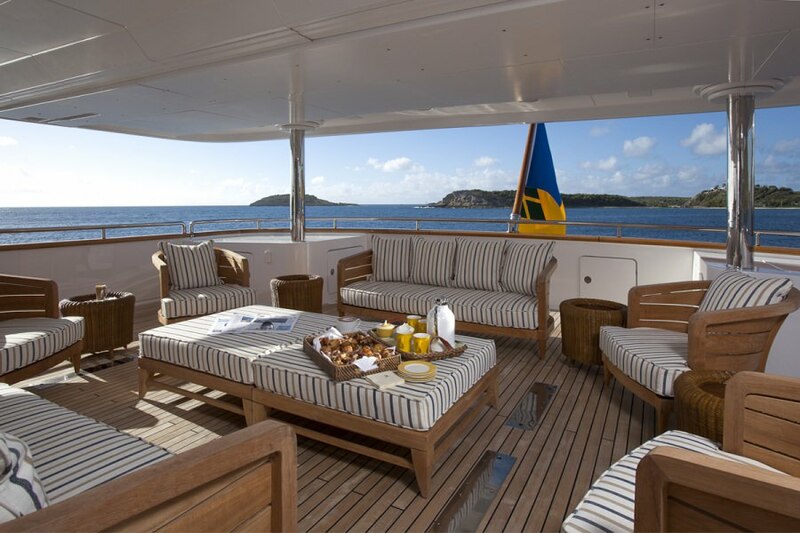 Yachting has taken her to Europe, Mexico, Panama and Long Island. Chloe holds her STCW95 certification and has completed a Master Stewardess Course. She would like to further her career in yachting and eventually buy her mothers bookshop, converting it to a cozy book/coffee shop. Chloe enjoys cooking, reading and cycling in her spare time. Rachel hails from the land locked, mountainous state of Vermont. After spending her youth playing basketball, Rachel received a full athletic scholarship to the University of Vermont where she played Division I basketball for four years. Rachel graduated earning her degree in English and spent the next several years living in Australia and working in the restaurant industry. Sarah was born in Seattle, where her love of the water began at an early age. She was part of the swim team throughout her life and always felt very comfortable on the water. Sarah spent her childhood boating on the lakes of Washington State with her parents and yachting with her grandparents around the beautiful Puget Sound and British Columbian coast. Upon receiving her Bachelors of the Arts in English from Washington State University, her love of animals and all things medical drew her to receive her degree as a Veterinary Technician. Sarah enjoyed caring for animals immensely, but had a calling to the see the great wide world. 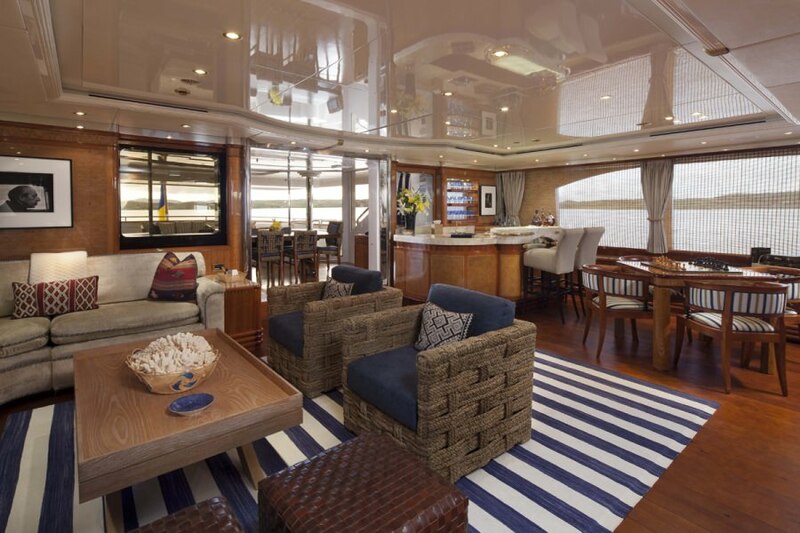 Returning to yachting as a professional was the perfect way for her to enjoy travel. She has been sailing the seas for 4 years now. Sarah has always been very active, and she enjoys many outdoor activities and interests including yoga, snorkeling, snowboarding, drawing, dancing, horse riding, flying the trapeze and reading.